It is no secret that cleanliness cuts across all aspects of our lives. From personal hygiene, cleaning everything around us, cleaning our homes to workplace cleaning; this activity is usually an essential part of our day to day endeavors. Unlike, personal hygiene, other forms of cleaning can be quite the task and very time-consuming. That's why you may find that most people in Singapore opt for cleaning services to help them maintain the health and cleanliness of their homes and workplaces. In most cases, these services come as a package that may encompass a variety of cleaning activities. For instance, in a workplace environment, cleaning services may include things like desk cleaning, window cleaning, furniture cleaning, floor and wall cleaning and so on. That's why, when you are looking to hire the best cleaning service provider, you need to consider a few facts about them. What should you look for in a good Cleaning Service Provider in Singapore? When you are in search of skilled and competent cleaners, their work experience matters a lot. They should have been in business for a while with an impressive track record. This does not imply that all new cleaning service companies in Singapore cannot get the job done. But, it is always good to place your bet on a company that has been proven to deliver high-quality work for some time. Despite the fact that some new service providers usually offer cheaper services with an aim of attracting new clients, it is always good to, first of all, consider all the possible outcomes of the cleaning process. If you feel that any outcome won't cause harm to you, your home or your workplace, then you can hire a new service provider to handle your cleaning needs. If not, then you should just stick to companies with more experience in the cleaning service industry. 2. Are They Licensed and Insured? Dealing with a cleaning service can be a tricky endeavor. This is because not all of the service providers are usually legitimate. That's why it is always good to check if they are licensed and insured. This reduces the chances of you getting swindled in the process. The main importance of them having an insurance cover is because it provides you with the assurance that you will be well compensated for any losses or damages on your property that may occur during the cleaning process. Seeking legal representation and justice against a service provider who is neither licensed nor insured can be quite depressing and costly. Therefore, before hiring any service provider, ensure that they are legitimate and have an insurance cover. Work experience, licensing and an insurance cover are not enough to give you the go ahead to hire a cleaning service provider in Singapore. You also need to look into the company's track record in service delivery. You wouldn't want to hire a company that has been in business for 10 years with the worst client satisfaction reviews. Remember that you are entrusting them with your property and sometimes very sensitive belongings. Therefore, you need to be able to trust them enough to give them the job. Customer reviews reflect highly on the services providers mode of work, service delivery and how they relate to their clients. That's why it is always recommended that you hire a company with good, if not exceptional, customer reviews. Cleaning services do not often come cheaply in most cases. This means that you need to make sure that the cleaning service package is comprehensive enough to cover all your needs but at a reasonable pricing. Various cleaning agencies offer their services at different prices. Some may offer more services at cheaper prices while others may offer the exact opposite. That's why it usually wise to compare a couple of service packages to guarantee that you get the best deal that covers most of your cleaning needs and still falls within your budget. Remember that service costs matter a lot, but not all cheap services are fake and not all expensive services are high-quality and satisfactory. * Always do an inventory check before hiring a cleaning service - this helps you to know in case something goes missing from your house or office. * Try to find time to clean any sensitive areas of your home or office place on your own - this reduces the risks of incurring major losses or damages in case the service provider goes off the reservation. * Always take your time to compare the services on offer to their pricing - this lets you know whether you are getting actual value for your money or not. * Try to come up with an efficient waste disposal system in your home or office - this reduces the dirt in those areas and can be a great way to save on cleaning costs. * Do not attempt to carry out complicated cleaning activities on your own - that's because some of these activities can be dangerous for a person without the necessary skills. Take office window cleaning, for example, this kind of cleaning activity requires highly trained and well-equipped cleaners to do pull it off. Someone without the necessary skills and equipment may end up hurting themselves or others in the process. With all that in mind, you are now set and fully equipped to find yourself the best cleaning service provider in Singapore. 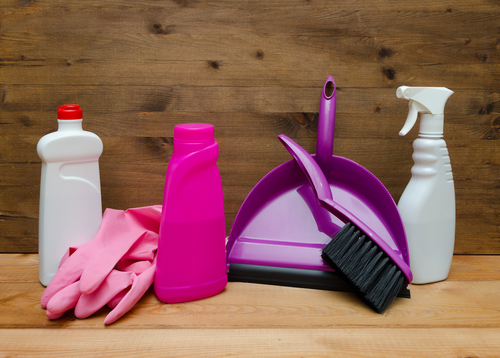 Take advantage of these amazing cleaning tips to help you with the hiring and decision-making process. Also, remember to take your time when researching because that's the only guaranteed way of getting fair, well-priced and high-quality cleaning services.